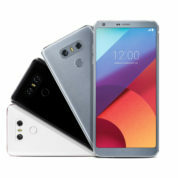 The LG G6 is out in Singapore on April 14 for S$988, significantly lower than rival Samsung’s new flagship phones, while eschewing a sleek design for a more practical approach. The G6 sports a 5.7-inch Quad HD screen (2,880 x 1,440) that has a 18:9 aspect ratio and longer shape. A slim bezel on both sides means that the large screen does not come at the expense of overall size. Indeed, one of its selling points is a generous display without the bulk. Perhaps addressing Samsung’s sleek curved-edge screens on the new Galaxy S8 and S8+, LG executives today said users preferred a flat display because it was more practical. Citing internal ergonomics tests, they said users tended to make fewer accidental taps. 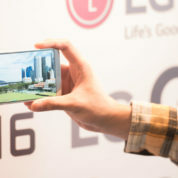 It remains to be seen if LG’s focus away from pretty designs might impress fickle users. 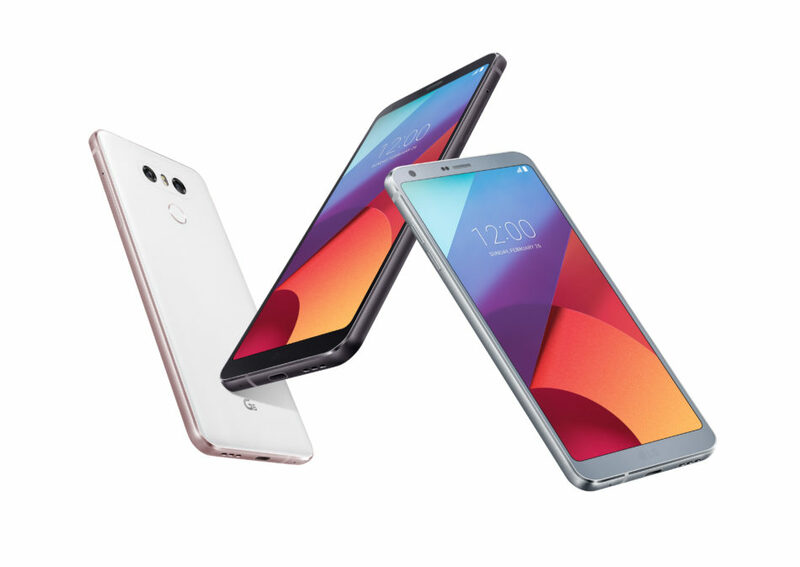 The G6’s rather straightforward appeal is a departure from the curved screen and leather backing on the G4. Neither is there a modular system, as the G5 offered last year. What it does have are a number of features that still offer a unique edge. The 100-degree selfie camera is great for adding background to memorable moments, while the dual-lens 13-meg main camera is something that keeps it in a small league of flagship devices delivering good pictures on the go. Out of the box, you have user-friendly features like a Square Camera mode that lets you make collages of photos you take. So, no need to download a separate app like Photo Grid. Another feature is the ability to follow a set template, say, to take that perfectly positioned bowl of ramen for an Instagram post. You simply fire up the camera and move the frame into a preset template to shoot something hip and attractive enough for your social media followers. 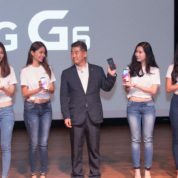 Less frivolous, perhaps, is that LG is continuing with high-quality audio playback with the G6. Like the V20 before it, the new phone has an ESS Sabre digital-to-analog converter (DAC) that doubles up as a superior music player over many other phones. Early tests, from a unit that Techgoondu has been using for a week, suggest that the audio quality is better than most phones, certainly an existing Galaxy S7 Edge we could compare with. We are continuing with the tryout as we write this. 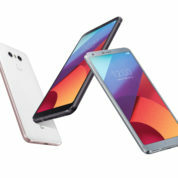 On the G6, you can expect the internals to be top-notch as well. The Qualcomm Snapdragon 821 chip and 4GB RAM should run apps without issue, while the 32GB storage onboard can be expanded with a microSD card. 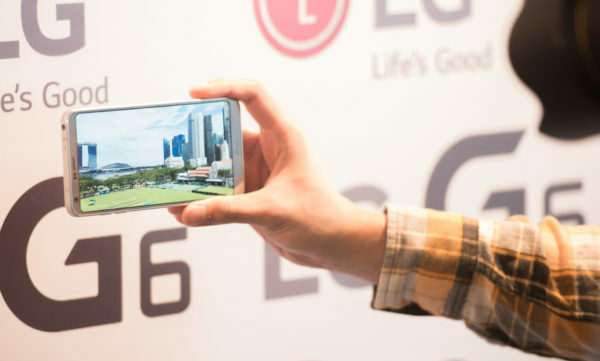 For these features, LG is asking for S$988 for the phone. 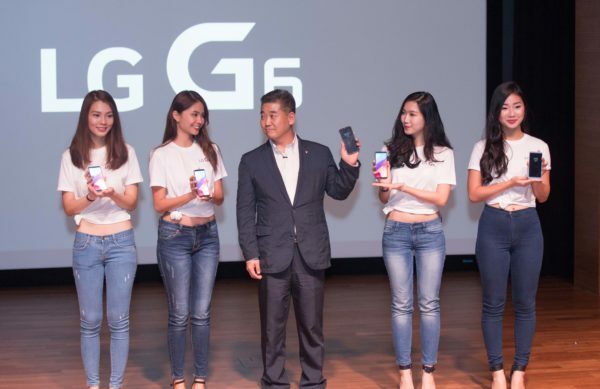 Though not cheap, that is substantially lower than the S$1,298 that Samsung is asking for the Galaxy S8+, or the S$1,148 for the Galaxy S8, which might give the G6 a much needed advantage over the arguably sleeker looking rivals. 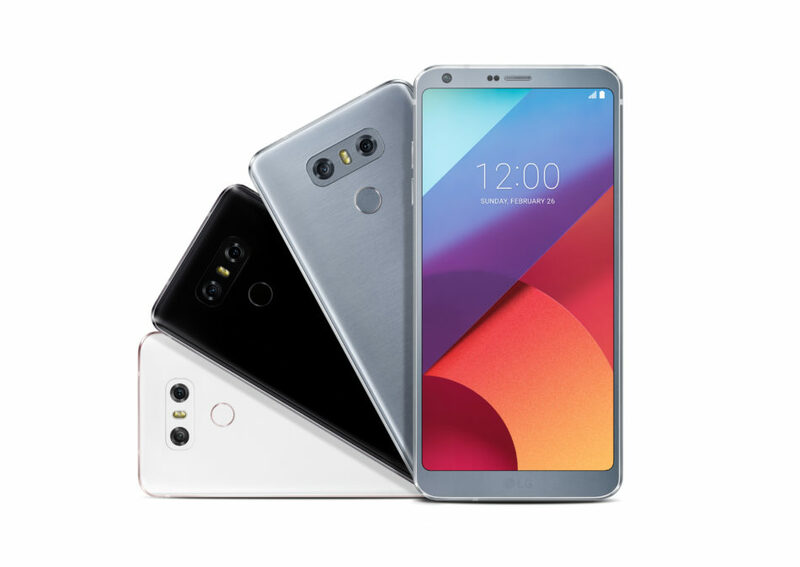 Look out for a review of the LG G6 soon as we complete the tests for it.